Public Service Enterprise Group (PSEG) has begun restoring almost three dozen roadways that it had dug up over the past two years to replace aging gas lines. Workers began milling the roadways in late August, according to the company. 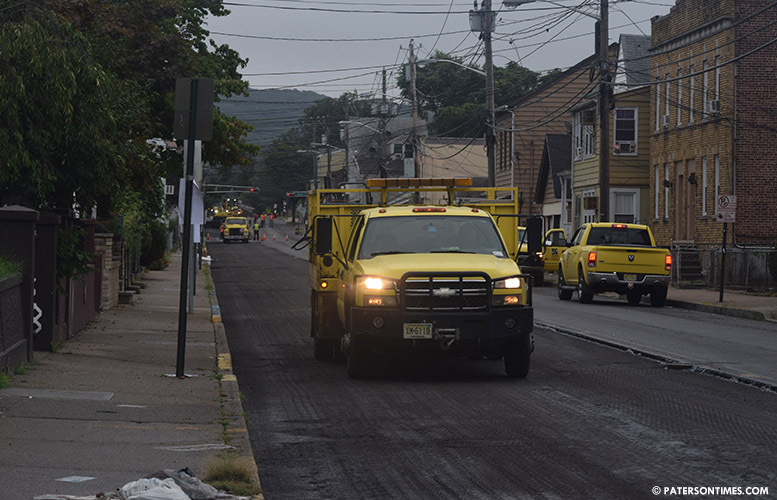 “The paving is anticipated to take place throughout September and October 2018,” said Cheryl Olcheski, a spokeswoman for PSEG. She said residents will be notified when work begins in their area by door hangers and social media postings. Albion Ave from Totowa Ave. to Crosby Ave.
Belmont Ave. from Burhans Ave. to West John St.
Coral St. from Woodruff St. to Union Ave.
Crosby Ave. from Ryerson Ave. to Oxford St.
Doremus St. from Redwood Ave. to Kearny St.
Edmund Ave. from Hill St. to Totowa Ave.
Henry St. from Sherman Ave. to Redwood Ave.
James St. from Ryerson Ave. to Wayne Ave.
Jane St. from West Broadway to Oxford St.
Jasper St. from Katz Ave. to 160’ E/O Katz Ave.
John St. from Crosby Ave. to Garrison St.
Main St. from Broadway to 160’s/o Van Houten St.
Oxford St from Garrison St. to James St.
Preakness Ave. from Granite Ave. to Chamberlain Ave.
Preakness Ave. from Crosby Ave. to Totowa Ave.
Ryerson Ave. from Totowa Ave. to Union Ave.
Ryerson Ave. from Union Ave. to Crosby Ave.
Sheridan Ave. from Totowa Ave. to Crosby Ave.
Sherman Ave. from Totowa Ave. to Crosby Ave.
Totowa Ave. from Preakness Ave. to Patterson Ave.
Totowa Ave. from Paterson Ave. to Sherman Ave.
Totowa Ave. from Sherman Ave, to Jasper St.
Totowa Ave. from Jasper St. to Riley Ave.
Wayne Ave. from Totowa Ave. to Crosby Ave.
West Broadway from Cedar Cliff Ave. to Katz Ave.
Woodruff Pl. from Marion St. to Coral St. The spokeswoman said anyone with questions or concerns about the work being done can call 1-833-661-6200.